The AK-47 is one hell of a carbine. Robust, reliable, hard-hitting, and quick-shooting, the Avtomat Kalashnikova is a favorite of freedom fighters, villains, soldiers, and firearms enthusiasts alike. One aspect of the rifle rarely praised is its accuracy. 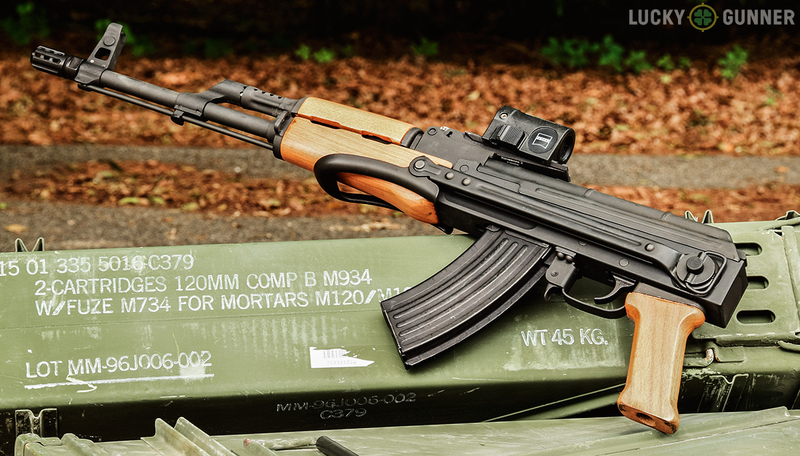 While not a match-grade weapon, the AK-47/AKM series of rifles are accurate enough to engage targets reliably at 400 yards. Trained shooters can push that distance even further if they understand the dramatic ballistic arc of the 7.62x39mm round and utilize magnified optics. Purists will denounce mounting aftermarket optics and accessories on their rifles. 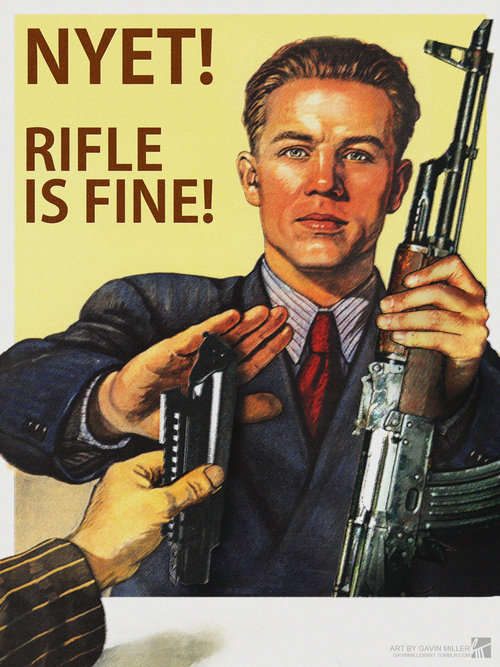 “Rifle is fine!” the suit-wearing Eastern-Bloc citizen proclaims on a photoshopped Soviet propaganda poster that has become an internet meme. Indeed. Rifle is fine, but maybe a better word would be “OK”. “Rifle is OK”, doesn’t have the same ring to it. While many seasoned shooters claim optics are a crutch for bad shooters, the reality is that the iron sights on AK rifles are “OK” at best. 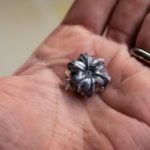 They hinder most shooters and prevent them from fully realizing their rifle’s potential. It’s tough to hit what you can’t see. I equate adding optics to an AK as an ergonomic improvement more than simply customizing a rifle for the sake of making it unique. Modern militaries understand that optical sights are crucial to extending a rifleman’s effective range, and they have modified their designs to incorporate optics accordingly. 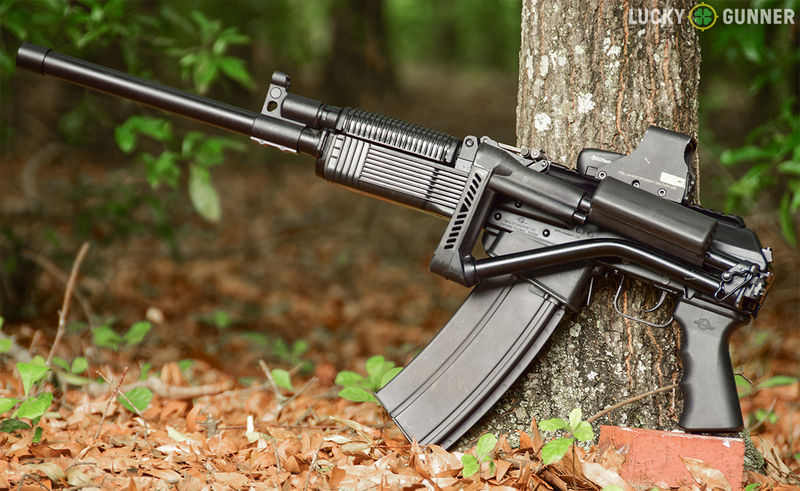 Unfortunately for civilian AK enthusiasts, the AKM never followed the same upgrade route as the M4 series of rifles after the fall of the Soviet Union, meaning the AKM/AK-74 rifle family never officially integrated a modular accessory system save for a side rail. It can be argued that this is due to equal parts Soviet combat doctrine, the collapse of the Soviet Union, and the subsequent reduction of its armed forces. The Kalashnikov was designed at a time when optics were a luxury relegated to hunting rifles and snipers. One of the first assault rifles ever fielded, the AK-47 was meant to replace submachine guns and short carbines, effectively serving as a medium to close range weapon. As such, the Kalashnikov was only designed for iron sights. Later iterations incorporated the now standard side rail, but this was originally for special units armed with night vision sights. Modern shooters who’ve made the choice to mount optics on their favorite communist carbine will find it’s more difficult than with the über-modular AR15. However, thanks to an increasingly robust aftermarket parts business, mounting much needed optics to AK rifles is easier than ever. Shooters deciding whether to put magnified optics, reflex sights, or holosights need to identify their needs before making a purchase. Buyers most interested in squeezing every drop of accuracy from their AK rifle will be best served by magnified optics. The downside? They take longer to acquire targets and restrict field of view, which decreases the shooter’s situational awareness. Additionally, shooters utilizing traditional AKM-pattern rifles, those chambered in 7.62x39mm, will be best served by optics featuring a bullet drop compensator reticle, or BDC. This is because the round has a more drastic ballistic arc than other caliber AKs like 5.45mm and .223. Thankfully, .300 Blackout has very similar ballistics, so a BDC-equipped scope calibrated to it can be used effectively with 7.62x39mm. 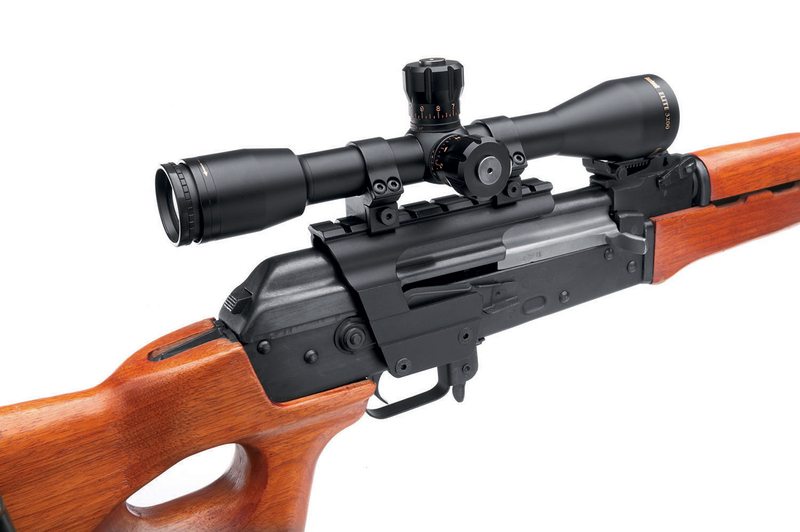 This Saiga chambered in .308 Win greatly benefits from the addition of a magnified optic. 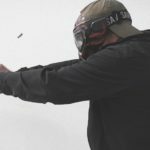 AK owners more concerned with speed than precision should invest in either a reflex or holosight. By staying unmagnified, these optics both offer shooters an wider field of vision and a beacon-like reticle that allows for rapid target acquisition and engagement. The downside is their limited effective range due to their large glowing reticles. These large glowing reticles make distant precision work difficult; they often completely obfuscate the target. Wherever the reticle or red dot is, your rounds will go. Unlike iron sights, nothing needs to be aligned. If the reticle is visible to the shooter, it is functioning correctly. Magnified optics have eye relief: a range of distances from the shooter’s eye to the optic’s eyepiece where the crosshair and the subject are perfectly clear. If outside this range, the image distorts or blacks out entirely. Neither holosights nor reflex sights suffer from this, they have “infinite” eye relief. Which begs the question: what’s the difference between a holosight and a reflex sight? The details are incredibly dense and unsurprisingly complicated and confusing. Though for most shooters it boils down to reticle types. Reflex sights project a laser dot on the glass of the sight to superimpose an aiming point on a target (hence, “AimPoint”.) Holographic sights do the same thing, but with an image. In the case of the most popular holographic sight maker, EoTech, that image is a hollow crosshair with a dot in the center. Newer models include a bullet drop compensator. Another thing to keep in mind with holosights is that they are designed for shooters to look through them, not at them. People accustomed to using iron sights will find this very counter-intuitive initially, but with practice, it becomes second nature. The other thing worth noting is that some people have a hard time with either of these reticles if they suffer from an astigmatism. If you have eyesight issues, visit a store and try one out first before buying. Another aspect that bears mentioning is that both the reflex sight and holographic sight can co-witness with iron sights, meaning the iron sights can be used ‘through’ the reflex sights, allowing the traditional mechanical sights to act as a backup. However, with most AK rifles this isn’t possible because of their low iron sights and relatively high mounting locations. The latter aspect is also responsible for one of the most frustrating aspects of mounting optics on AK rifles: awkward comb height. So some shooters will have to employ chin-weld as opposed to cheek weld to achieve proper sight picture. 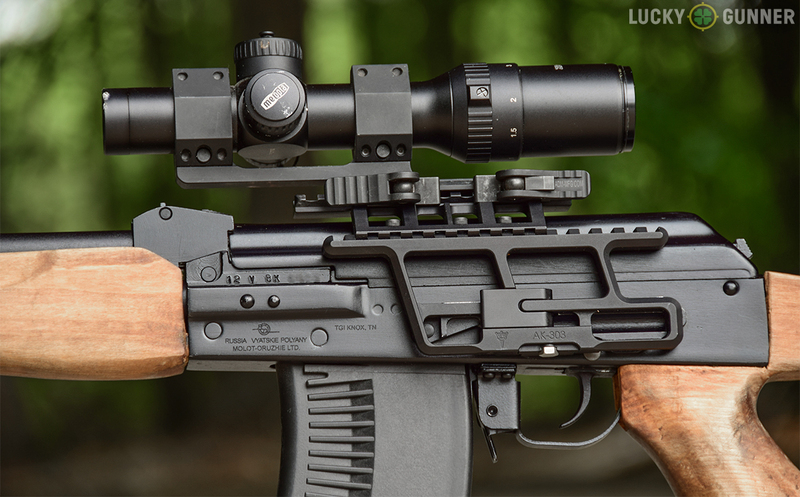 A VEPR 54r with a Meopta scope mounted VIA an RS Regulate AK303 rail helps stretch the potent 7.62x54r’s legs. Optics mounted with a side rail are easily installed with no tools in under a minute. 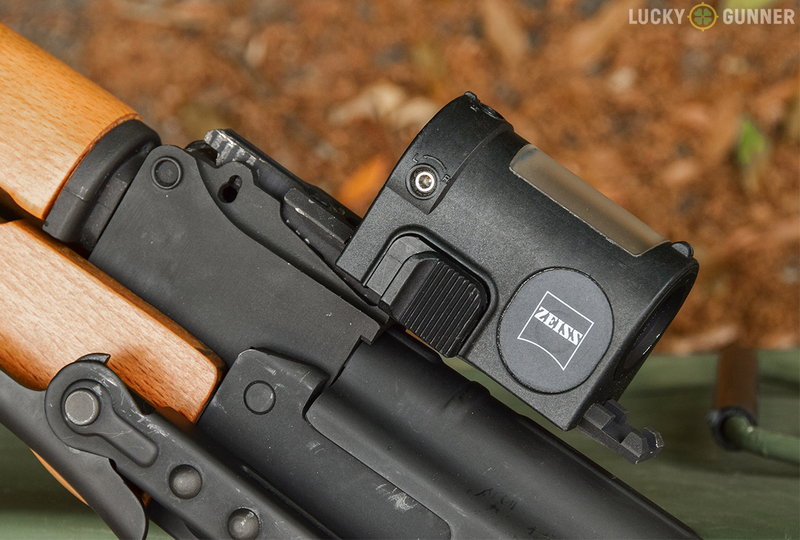 The close proximity of the rail to the shooter’s face makes it ideal for magnified optics. Added weight from the scope and rail are just forward of the shooting hand, so balance isn’t affected. 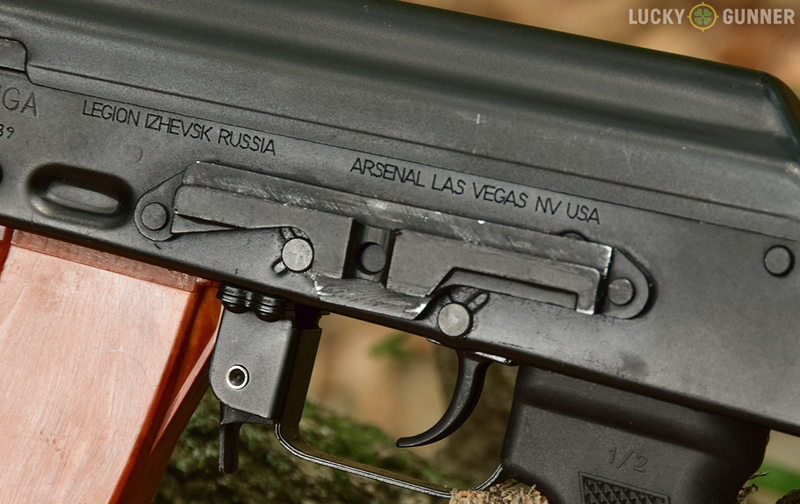 Side rail allows use of AK-specific optics from Russian/Belarusian manufacturers. 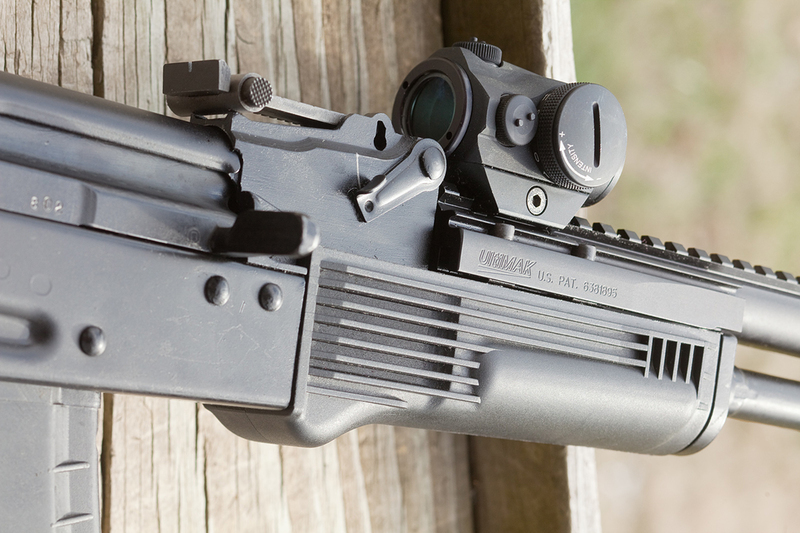 A Saiga equipped with a side rail with no optic mount attached. Holosights, like the Eotech 550 series, mount too high for proper use, requiring shooters to adopt a chin-weld that negatively affects accuracy and limits shooter field of vision. Mount is off-center, which can cause some zeroing issues and point of aim/point of impact shift at close range versus longer distances. Most rifles with side-folding stocks fold to the left. Any side rail-mounted optics will interfere with this and will need to be removed if the shooter wishes to fold the stock. Rear sight rail mounts replace the rear sight assembly with a small length of rail for mounting small optics like micro red dots. Minimalistic nature of the rear sight replacement rails retains the carbine’s handling and doesn’t add much weight. Shooters looking for a direct replacement of their iron sights will find micro red dots mount perfectly and allow normal cheek weld. Unlike side rails, this mount doesn’t interfere with any stocks, under or side-folding. 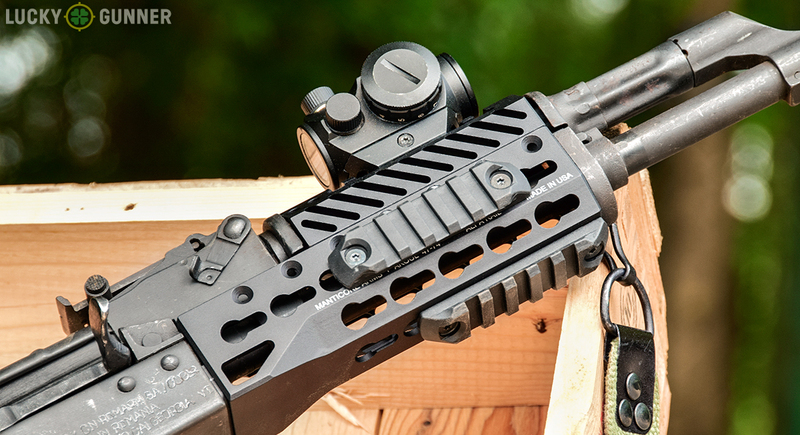 The height of this mini-rail makes it impractical with any full-sized reflex or holosights. Removing the rear sight can be tricky for new shooters, and, for most, results in scratching the finish. The diminutive size of the rail means limited rail-estate for optics, limiting available choices further. Railed dust covers replace the original factory dust cover on the rifle, though this VEPR 12 ships with a more-secure hinged one. Most makes tend to be lightweight and shift added weight above pistol grip where it has little impact of balance. Installation is idiot-proof, simple, and requires no tools. Tremendous rail-estate for mounting optics and accessories. This hinged VEPR-12 dust cover works well with the relatively high-mounting Eotech 552 holosight. Railed dust covers are primarily held in place by the rifle’s recoil spring and lose zero after a few rounds. These replacement covers tend to be made of thin steel, aluminum, and, in some cases, plastic; they are fragile enough to break with moderate use. Since no military has ever fielded one, no standard exists. Parts are often incorrectly sized and require fitting. The TWS Dog-leg rail replaces both the factory dust cover and the factory rear sight. Mounts barely above or at the same level as dust cover and offers shooters the lowest mounting option available. Since it runs the length of the dust cover, it offers shooters enough space for both a red dot/holosight and a magnifier if they so choose. The mount’s inline design doesn’t interfere with folding stocks of any variety, save for North Korean top-folders. Dog-leg type rails tend to be a little pricer than others, but only marginally. Can be somewhat difficult to initially install as it requires removal of rear sight. Optics mounted far back on rail can limit shooter field of vision. Ultimak railed gas tube with Aimpoint micro red dot sight. Photo by Oleg Volk. Railed gas tubes are among the simplest mounting solutions to install. Forward mounting position offers shooters a nearly unobstructed field of vision, ideal for use with either reflex and holosights. One of the few mounts that facilitates the use of scout-style magnified optics. This railed gas tube from Ultimak replaces both the factory gas tube and the top half of the factory handguard. Photo by Oleg Volk. Mounting optics forward of the chamber tends to drastically alter the rifle’s balance, making it nose-heavy. Cheap versions tend to lose zero quickly and may require fitting to properly align. Excessive heat from the gas tube can damage optics not designed for thermal tolerance or intense vibration. 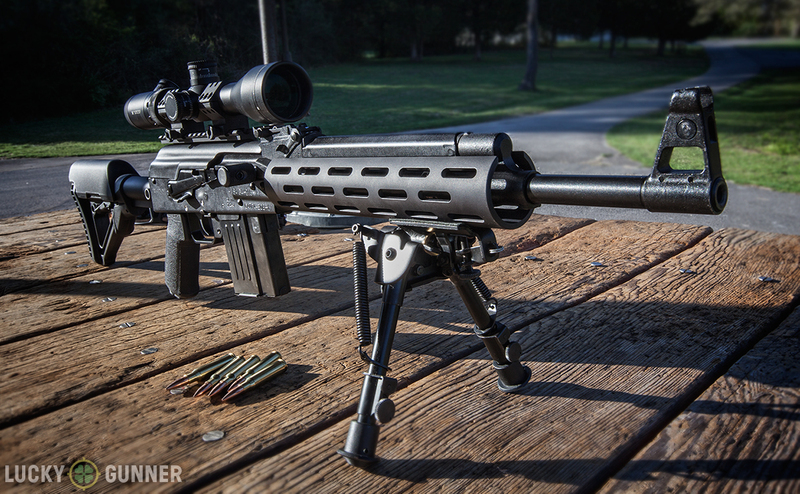 Unlike the railed gas tube, the railed handguard takes the place of both the top and bottom portions of the factory handguard and leaves the original gas tube in place. Among best in terms of field of vision and rapid target acquisition. Permits use of scout-type optics and offers more rail space than railed gas tube. If using a fully-railed upper and lower handguard, it allows shooters to mount other accessories like lights, foregrips and lasers. This SAR-1 rifle digested the contents of the ammo box behind it without it’s Manticore Arms-made rail losing zero. Some models negatively affect accuracy by clamping to barrel. 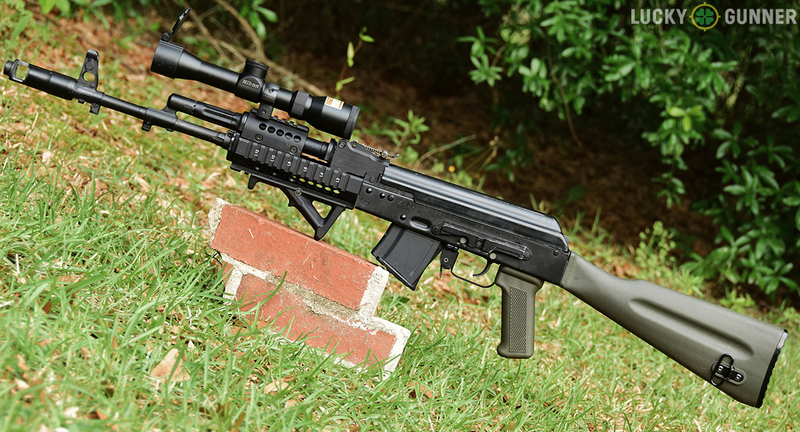 Traditional rail-type handguards add significant weight to the front rifle making it sluggish and nose-heavy. Can be abrasive to support hand and conducts heat too readily. New models with keymod/M Lok interface don’t suffer from this. This B-Square mount requires new holes to be drilled and tapped just below the safety lever. By being drilled into the receiver itself, it is rock-solid. Because it doesn’t use an existing mount, it allows mounting magnified optics on milled AK rifles that otherwise have no mount for such things. Since the mount is both behind and above the iron sights, it doesn’t interfere with them. Mounting involves permanent alteration to the rifle. The scope can be removed, but the mount will leave holes in the receiver. Any irreversible change to a rifle depreciates its value. To properly install, most shooters will need to take their rifle and mount to a gunsmith. 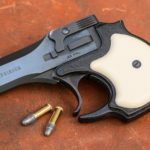 Ultimately, it depends on the shooters need and what sort of optic they decide to go with, though there are some model-specific bests that bear mentioning. Shooters leaning towards reflex sights should utilize as far forward a mount as possible, and thus go with either a railed gas tube or handguard, pairing it with a micro red dot. A good example of this is a Manticore Arms ALFA RAIL Keymod. It allows shooters to mount small red dots very low and forward without adding much weight and providing a mission-adaptable forearm. While arguably not the most attractive way to assemble an AK into a scout rifle, the solid mount from Ultimak actually holds zero, even when using the incorrect-length railed upper handguard. One exception is the AimPoint PRO. This 30mm optic should be mounted on the RS Regulate AKM mount, which allows the lowest mounting point possible for it, even allowing iron sights to co- witness. This mount can also be used with magnified optics, but depending on the scope’s size may not offer shooters proper eye relief. 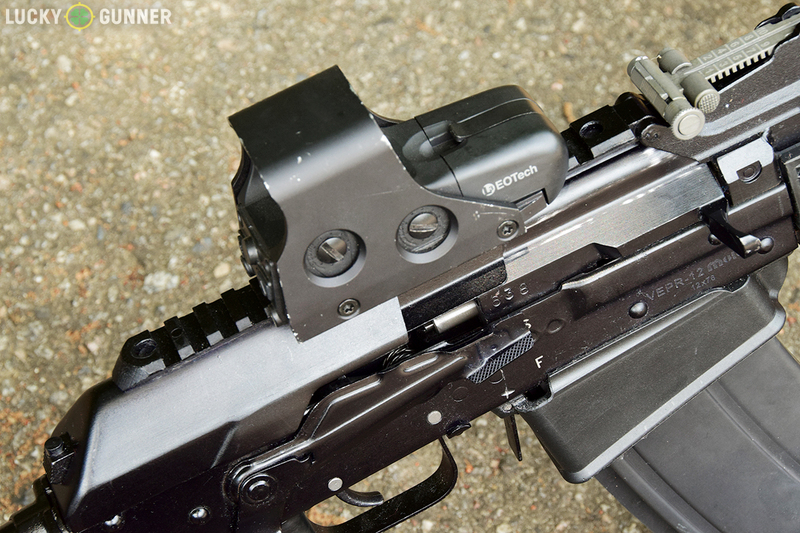 For holosights, the best option is a dog-leg rail as it allows them to be mounted as close to the bore as possible. This is important because most holosights are too tall to be comfortably used on any other mount. Magnified optics are best on side rail-mounts in general because they offer enough added height for proper clearance of the scope’s objective. The downside is the added weight of a rail, rings, and a scope. 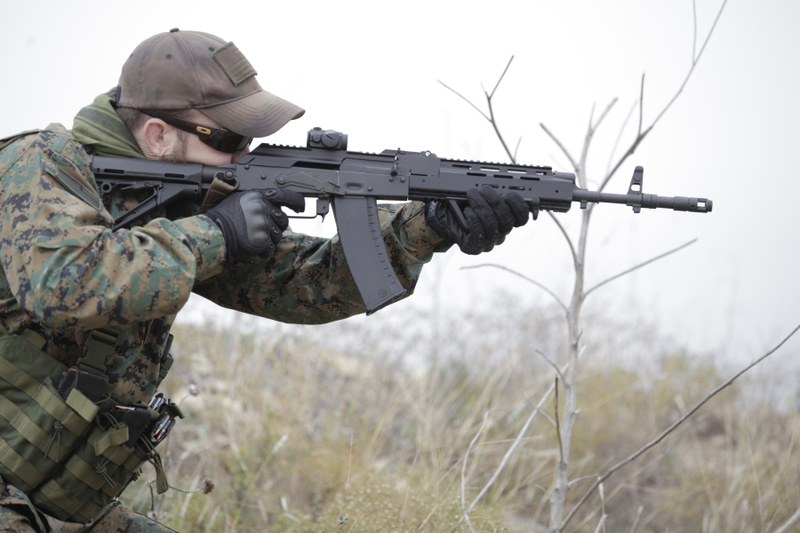 It’s important to note that side rails preclude the use of folding stocks on nearly all AK rifles. Those with reversible folding adapters can fold the opposite way, but factory folders cannot. The only exception are SAM7SF milled AK rifles from Arsenal, which fold to the right. Choosing a mounting solution for your AK rifle can be a daunting task; there are more varieties of mounts available now than ever. The best piece of advice I have for shooters not yet invested in either an AK or an optic is to try your friend’s guns and their setups before purchasing your own. Also, if you ask a friend to let you shoot their rifle and you blow through hundreds of rounds, buy him some ammo.